What websites should I use for my Vacation Rental? There are several websites you should consider using depending on where your home is and who you are trying to attract. If your home is in a ”destination location” like by the beach, in the mountains, or in a desert location, you should consider using Homeaway and VRBO. Travelers searching for vacation rentals in a resort destination often go straight to HomeAway and VRBO. Travelers who are searching for the traditional resort experience are often traveling in a group of family members, friends, or even business partners and usually for several days, or even weeks. So be sure to consider their home needs as they will vary from group to group. Airbnb is the go-to site for millennial’s and young travelers looking for properties in urban destinations. If you have a vacation rental in a city or trendy location, you should strongly consider using Airbnb. Airbnb travelers tend to be more interested in weekend bookings & shorter stays, so be prepared to have a higher turn over rate each month. Booking.com and TripAdvisor are large international platforms that cover more diverse options for travel accommodations beyond vacation rentals, including hotel options, B&Bs, and more (so you will have a strong competition!). These travelers are often traveling internationally, and the group size can vary, but are usually small groups of 2-5. Think of this group of travelers as more nomadic than Airbnb, VRBO, or HomeAway, so their needs will be a little different and more basic in nature. 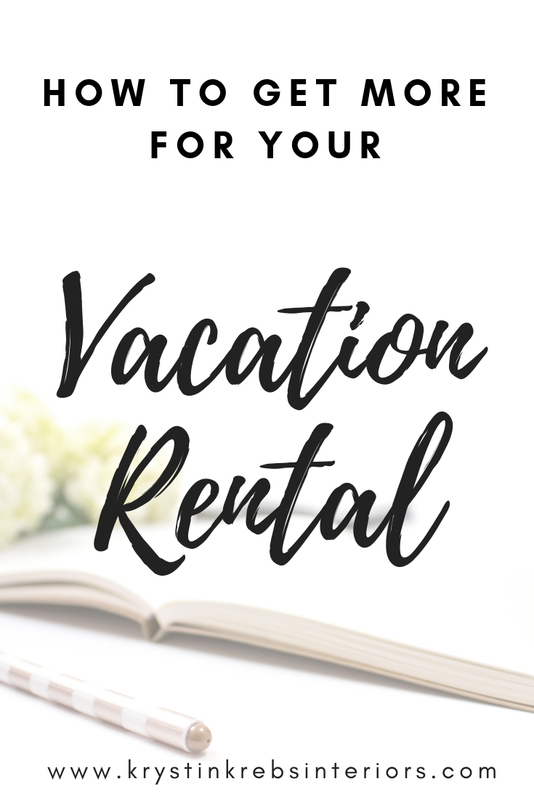 If a traveler is specifically looking for a vacation rental, these platforms may not be the first place they look, so you may want to use other websites in addition to this option if you are looking for a full booking schedule. Also, be aware that this site has the highest cancellation rates in comparison to other websites, so be prepared. The travelers who are searching CollegeWeekends.com are usually going to be college students, and often value price and location over comfort. You can think of this website as more like a “hostel” experience. This is the perfect place to list that spare room in your house, especially if you are walking distance to a college campus. The website also caters to family members who want to visit college students, without having to go through the hassle of commuting to and/or from the nearest hotel after a long day touring a campus or watching the late local college football game. If you are going to list your home on this website, be prepared to be booked when school is in session (during the spring and fall), but you may experience some lack of bookings through this website during the winter and summer months as it’s likely that fewer people will be using the site. These are the websites that are currently dominating the industry, but it is always changing and there are new sites popping up often, so check back in for more updates, and share your finds in the comments below! When including gifts for your guests in your welcome basket, be sure that you ask your guests of any food restrictions or allergies if you plan to purchase an edible gift. You can also ask your guests what the occasion for their trip is; perhaps a honeymoon? Maybe roses and champagne would be a nice gift, or perhaps if it is a family vacation, maybe a coloring book for the kids. Try to think of what you could provide (for minimal expense). The more thoughtful the gift, the more likely you are to get an extra positive review! So, what goes into a perfect vacation rental welcome basket? It combines both practical and personal items. Let’s take a look at the best items you can include! Many people are self proclaimed coffee-fiends. So providing a coffee maker, or coffee pod dispenser could be essential is reaching that “superhost” status. The higher end your property is, the higher end your coffee machine and coffee brand should be. Provide plenty of coffee mugs for your guests as well in addition to creamers, sugar, stirrers, etc. If you opt for shower supplies, make sure they are gender-neutral. Shampoo, Condition, and Body Wash are optional, since most people will bring their own, but it is all about the thoughtful gestures here. Consider what type of products you are providing as well, some people may be allergic to certain chemicals in the options you provide. It’s also a nice touch to provide a handwritten card welcoming your guest to your home. You can place your welcome book inside your welcome basket as an added touch of originality as well! This is an example of a creative way of displaying a gift for your guests- this host is providing sunglasses in Sunny San Diego for their guests! The glasses are only $3 each, but they are very thoughtful, and will help give this host a 5 star review! Every vacation rental should have a welcome book! First, what is a welcome book? It includes everything guests may want to know about your home, the area, the town, the city, the history, current events, trendy or new spots, transportation, places of interest, restaurants (best local pizza, best happy hour, late night food, etc.). It may seem like a lot of effort, but remember you’ll only have to provide this written information once – then you can reuse it for all your future guests. This is also a moment for you to reflect on fond memories of the house or the area your home is in. With these tips, you can now create a welcome pack that will leave your guests impressed and excited about their stay. Don’t forget that presentation is important – Do not place a bunch of posters or papers all over a corkboard, this looks messy and as if your suggestions were an after thought for your guests, which you never want your guests to feel. You want to amaze your guests! Give your bathroom the attention it deserves. Put away personal hygiene products. Scrub bathtubs, toilets, and shower walls. Make clean and bright your goal. I can not stress this enough- the level of cleanliness of your bathroom will be a key factor into your reviews. Provide at least two body towels, one hand, and one face towel for each guest. Make sure you also provide essential toiletries like hand soap, toilet paper, paper towels, etc. You should also provide a blow-dryer for your guests (one in every full bathroom). While it’s not necessary, it’s nice to provide your guest with toiletries they may have forgotten: toothbrush, toothpaste, Q-tips, cotton balls, etc. Should you choose to provide shampoo, conditioner, and body wash, consider travel sizes are best for new guests- this also can create a fond memoir when a guests leave your space and uses the products again during another trip, reminding them of your vacation rental, and possibly sparking repeat bookings. Your bathroom supplies should be easy to find and be full/new. Do not leave your previous guests half filled shampoo bottle in the shower- this will only remind your new guest that there was someone here before them. And while that is true, they do not need to be reminded of this fact. You would never see this happen in a quality hotel, so why would it be acceptable in your vacation rental? It’s almost on the same par as leaving hair in the shower. Eww! It’s also a great idea to provide your bathrooms with accessories that match (Tissue cover, trash can, canister, soap dish, etc.) as labels cause a visual distraction. Providing accessories that match gives a clean cohesive look. Just think about your favorite high-end hotel, they don’t leave out their tissue boxes with labels all over it, so why should you? Don’t underestimate the power of your own website. Every reputable business you know of has its own website – and vacation rentals shouldn’t be any different. Besides listing on Online Travel Agencies (OTA’s) like Airbnb, having your own website provides travelers with a place to book directly with you – saving you both money on commissions that OTA’s would charge you if your guest were to book through their website instead. Plus your website is the one advertising space you are completely in control of. For instance, if you were to solely rely on the bookings you got from OTA website’s, and they were to change their rules or policies, your listing might be pushed out of view of potential guests, or even worse, be removed completely! Why? Because they own their website and can whatever they like with it. This is why you want to host your own website in addition to OTA websites, so you are in control. You show your potential guests only what you want them to see, and everything you want them to see. In addition, You can share testimonials, social media account information, more information about you, your property, or the area. This is the space where you can share any additional information not listed on the OTA websites. Having this information in addition to a personalized website also helps legitimize you as a business. 2. A captivating description of the property and the area. 3. Legitimate Positive Reviews or Testimonials of past guests. Since most vacation rental owners don’t have a degree in Hospitality, or 10+ years experience working at a hotel, there are often small but VERY important experiences that our guest’s have that we might be overlooking. 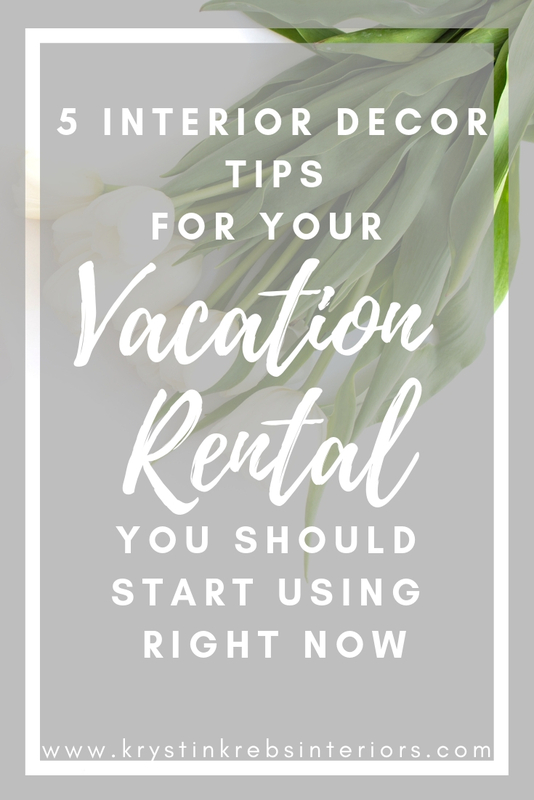 Here is a list of items you should consider using in your vacation rental immediately- making you the super host in your area! Front Door: Make sure it has a clean doormat with a working light. Consider the condition and color of your door as well- does it need new paint? Maybe a pop of color so it draws more attention? Entry: Make sure there is an area to “drop” everything a guest will have with them by the front door (luggage, cellphone, keys, hats, jackets, etc.). You want your guests to have somewhere to dump everything while they take a look around and explore your room options and get themselves orientated with their new surroundings (without lugging everything with them, and possibly damaging the walls, doors, trim of your home). Living Room: Make sure the remotes to the TV are easy to find and navigate. The coffee table is also a great place to leave local magazines, your recommendations for guests, and a guest book (if you choose). You don’t want guests to have to hunt around the room for things they will need, so baskets are also a great way to keep these essential things all in one location. Bedroom: Make sure you have extra blankets. Just because you only need 1 blanket at night doesn’t mean your guests will feel the same way. It’s always better to over deliver than to under-deliver to your guests. Extra pillows are a nice gesture as well and don’t cost very much. Bathroom: Provide at least two body towels, one hand, and one face towel for each guest. Make sure you also provide essential toiletries like hand soap, shampoo, condition, and body wash. You should also provide a blow-dryer for your guests, and if you want those bonus points; robes. It’s also nice to provide your guest with toiletries they may have forgotten: toothbrush, toothpaste, Q-tips, cotton balls, etc. Your bathroom supplies should be easy to find and be full/new. Do no leave your previous guests half filled shampoo bottle in the shower- this will only remind your new guest that there was someone here before them. And while that is true, they do not need to be reminded of this fact. It’s also a great idea to provide your bathrooms with accessories that match (Tissue cover, trash can, canister, soap dish, etc.) and it is best to remove or cover all store labels as they cause a distraction. Travel size shampoo, conditioner, and body wash are best for new guests- this also can create a fond memoir when a guests leave your space and uses the products again during another trip, reminding them of your vacation rental, and possibly sparking repeat bookings. Additional Tip: Consider how your space smells also. Use air fresheners when needed, but also air out your space when guests leave by opening the windows and letting in fresh air. Make sure all vents and ducts are cleaned monthly to keep that fresh scent in your home. One great way to keep a fresh scent in your home is to add a few drops of vanilla oil to your wall paint before you start painting. This keeps your walls fresh and your rooms smelling delicious. Being that I am in California where it is sunny almost all year round, outdoor living space is a big deal here. As in most states, especially during the summer, many people want to enjoy the nice weather and be outside. So it only makes sense to put just as much thought and effort into your vacation rental’s outdoor living situation as you would inside. Your Backyard/Patio/Balcony is your guest’s outdoor oasis-so let’s make it feel like one! First, in order to make it feel like an oasis you have to consider the lighting situation. Do you have outdoor lighting? If so, how does the lighting make the space feel? Is there just one giant spot light that makes you feel like you are under interrogation? Or are there many small warm lights scattered throughout the space distributing light evenly across the entire area? Now for the lighting choice itself- Are you going for a modern clean line look? Or a whimsical bohemian vibe? These are two polar opposite types of lighting for a space, so you will need to pick a style and stick with it. Lighting color is also important. Stick to warm white light- it’s soft, romantic and gives your skin that healthy glowing color. Second, you will need seating. How many seats will depend on how many beds you have (real or make-shift included). You will need 1 seat for each of the guests that would be sleeping in your vacation rental. If your space is designed for entertaining, you will want a couple of extra seats for additional guests. Consider how guests will use these seats too- will they be floor pillows that guests can lounge around with? Or dining chairs? Will the seats need cushions for comfort? If so, consider how and where the cushions will be stored. Third, you will want some greenery. This not only makes the space feel less sterile, but also can make an impact on the inside of your unit as well if you have windows that face the yard space. You don’t need to over-do this space and make it feel like a jungle. But 1-3 plants certainly helps create a more welcoming space. One idea is to have some pots with herbs (mint, chives, rosemary, oregano, basil, or parsley). Not only are herbs quite resilient, they can also be used for cooking and they smell nice too! Be sure if you are going to have pots outside that you have a base to hold excess water. This will keep your floors clean and your plants healthy and not over watered. If you have plants that need attention during a portion of your guest’s stay, be sure to let them know that someone will be stopping by just to water the plants. If they value their privacy, they can move the plants to a more accessible, less intrusive location, but this should be decided on before they book their stay with you- as most people are on vacation and are not looking to do chores. For this reason I suggest getting evergreen or drought resistant plants- they require little maintenance and can withstand most weather patterns. Last but certainly not least…. Use this area as an advertisement for your home! Not everyone will have a space like this for their guests- so if you’ve got it, flaunt it! Prep your space with accessories like towels, dinner ware, wine glasses, picnic baskets, magazines - whatever your guests might need or want when sitting in your outdoor space. Social Media has changed the way people travel. Often times people aren’t even visiting travel websites to book their travel stays, they simply hop on social media, see a picture of a place they like and book through the links provided. The best part is, social media is free advertising for you! People who book vacation rentals often share special iconic location with their friends and followers on social media, so having or creating a special experience to get your guests to post on social media are free advertisements, just for you! Your guests literally do the work for you. It’s best to create your own personalized hashtag for your location as well. Think of something unique- maybe it has something to do with your street name (ex. #StateStreetHouse), or maybe what you want to be known for (ex. #BeachHouse), or maybe a combination of these things (ex. #StateStreetBeachHouse). Be creative! Think about it like a hotel. When you think of the W Hotel, you probably think high-end, cutting edge, modern, clean, friendly, customer service-orientated, etc. Most of their hotels focus on the color white because it subconsciously sends a message to our brains that says “clean”, since this is the color we associate most with clean. For instance if I were to say the word “clean linen”, you probably don’t think of your dirty black work socks, right? Most of us will think of white bedding sheets. Also, hospitals use white in this same way. Just think if you were to walk into a hospital that had black walls and dark colored linens everywhere. Your brain would immediately think “this is not clean”. So this same rule applies to vacation rentals. White is the color most associated with cleanliness, so use it as much as you can. White can also be bleached, not only keeping your linens white, but also keeping them as germ-free as can be, and making laundry very easy. When advertising anywhere online, having an identifiable brand, or brand recognition is key. If I asked you to think of two colors associated with McDonald’s, you would think of red and yellow. This same concept applies to your vacation rentals. Especially if you have more than one. You want the feeling that color evoke to be the same across all of your properties. For instance, maybe you love the color blue- use shades of blue through-out your properties; everything from the outside to the inside. Don’t go crazy with this color, just add hints of this color throughout. This color should account for about 10-20% of the rooms color. All other colors should be neutral. This same color scheme can be used everywhere: your website, your logo, etc. This helps associate these colors with your brand, establishing trust, which can not be bought. Having your guest trust you is the ultimate goal. If your guests trusts you, then they will book again. The only way for your guest to trust you is to be consistent. What better (and easy) way to get them to trust you, than to establish consistency in your vacation rentals. To be consistent, make sure you have the same brand of toilet paper, towels, bedding, pillows, etc. so they know they can depend on you to have what they love. Remember having a vacation rental is all about the home-away-from-home experience. Having this consistence will also help you stand out from the nearby “crowd” of other vacation rentals, as most are owned and operated by the home owner, who probably doesn’t have a clue about how to create brand recognition- but you do! Vacation Rentals are similar to boutique hotels in the sense that there are tiers of price ranges. Most hotels fall within a 5 tier category. Imagine Motel 6 being at the bottom, Best Western, Hilton, and Marriott falling in the middle, and the W Hotel landing at the top. As you can imagine not only will the price of the Motel 6 location be far cheaper than that of the W Hotel, it will also be furnished with items you would associate with this level of expense. For instance, you wouldn’t walk into a Motel 6 room and expect to see luxury linens, soft towels, quality fabrics, and crystal chandeliers. However if you were to walk into a W Hotel room and you opened the door to a run-down mattress, rough towels, low lighting, and a chair with a broken arm, you might be furious because the cost doesn’t match the quality. These same principles apply to vacation rentals. Whatever price you have chosen to list your property at, it will need to match the expectation associated with that price tag for your guests. If your property is in an area with several ‘Motel 6 quality’ rentals around you, then you could opt for cheaper furnishings to match your competition. However if your rental is in an area where other rentals are ‘W Hotel’ quality, you will need to match this as well if you want to keep up with the competition and not be priced out of the market. After all, who wants to pay $300 a night for a $60 a night quality? This is where a lot of home owners mis-step when turning their properties into vacation rentals. How do you know what quality looks like? Hire a professional- like me! After all, this was supposed to be a passive venture for you, you don’t need to stress over whether your sofa is ‘W Hotel quality’ or ‘Motel 6’, that’s my job! I know this industry inside and out, I can go into detail about what makes one piece of furniture worth it’s price tag in value, but all you want is passive income, right? Unless of course, you really do want to know these details, which I am happy to share with any client as well, but you most likely won’t have time to do all this research and order the furniture before your first booking (hopefully!). So all you really need to remember is that there are different tiers of price tags associated with each rental and the area it is located in. Leave the rest of the work to the professionals who will bring a higher value to your rental and make you more money in the long run! Your Vacation Rental isn't just a hobby, it's a Business! So you just bought a new vacation rental, now what? Running a vacation rental is a lot of work. Many people now make it their sole job to keep vacation rentals up and running. There are so many parts to keep track of; from booking, to bookkeeping, to cleaning and making sure everything is as described in your listing- there’s no wonder this can become a full time job for some. But don’t worry! It’s not as hard as it seems. Since you are now running a small business with your new vacation rental, any new business idea requires a business plan. By setting objectives from the outset, you have a realistic plan to adhere to, and to measure your success against. As part of this process, you’ll need to first define what you want to get out of your ideal vacation rental. Do you want it booked on the weekends so you can enjoy it during the weekdays? Or do you want a professional to rent it during the weekdays and you can use it on the weekend? Maybe you don’t want to use it at all and just want it to cash flow for you. Maybe this is just enough cash flow to cover the mortgage, or maybe you want to fully live off of this income. Whatever your goals are, you’ll need to set a nightly rate first. How? Take a look at your competition. Is your rental nicer than theirs? If not, how can you improve it so that you can get top dollar for your rental as well? One of the easiest ways to immediately add value to your property is to use a professional designer’s expertise to turn your property into a money making machine. That’s where I come in! You can contact me by clicking on the contact page on my website. AllTheRooms will give you an idea of rental rates for all vacation rentals in your area. More and more travelers are choosing vacation rentals for a “home-away-from-home” adventure. One sure-fire way that owners can help guests to have the best time possible is by sharing recommendations of your own favorite places with anybody who stays there. Preparing a local guidebook for travelers is both a thoughtful and helpful addition to any vacation rental. As you’ll already have plenty of local suggestions for eating, drinking, etc. Creating a personal list of your local favorites will help your guests feel more welcome and like one of the locals, giving them a truly unique experience. You can do this by including your curated recommendations by incorporating it into the decor. This could be photos of local music concerts or historic landmarks. You can also incorporate your food recommendations (restaurants, markets, grocery stores) by supplying a map with their locations and your own personal reviews of why you like each location. You can even include a favorite recipe for the grocery store locations. These lists can be incorporated into the decor in many different ways- anything from chalkboard walls to framed lists on the wall in fancy writing. Be creative with your list and how you show guests! Personal art (photos) are to remain in personal spaces: bedrooms only. Pick two to three types of artwork; photography, oil, paper, acrylic, etc. Now pick 5 colors that you like (I usually suggest one cool color (blue,green,purple) and one warm color (yellow, orange, red) along with 1 additional cool or warm color, and two neutral colors. Find art work that has only the colors you have chosen and that are the type of artwork you have chosen. By doing this, you have created a color scheme for your home. 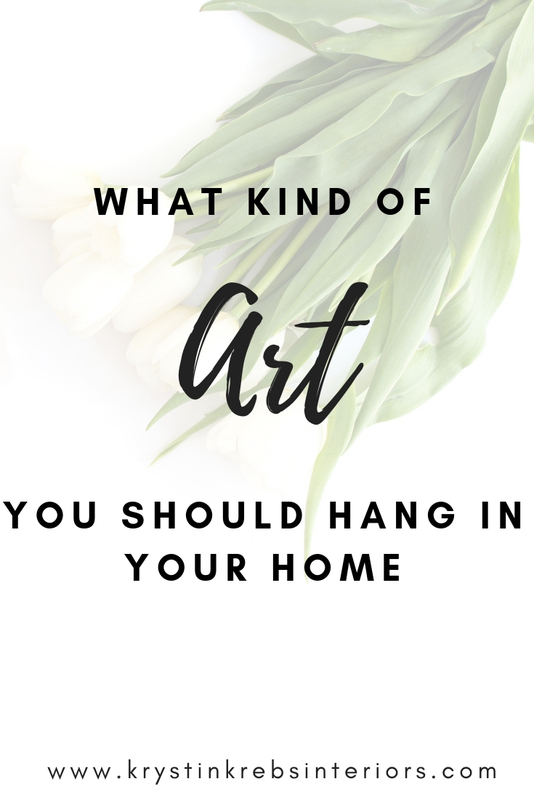 It is usually best to have neutral colored walls where you plan to hang your art, unless your artwork is only a neutral color (Neutral, Black, Grey, White, etc.). Your frame is arguably one of the most import parts of your artwork. A rustic wooden frame can make a room feel casual, while a silver leaf frame with a double white matte can make a room look elegant. If you choose to get your artwork professionally framed, tell the framer what feeling you want your home to have- this will help him/her narrow down what options will best fit that feeling. And of course- consult a designer! Retail furniture vendors like Restoration Hardware, Pottery Barn, West Elm, etc. have always been a great source for the general public to purchase their furniture needs. However, being a designer, I want to let you in on a secret- almost none of these vendors make their own products. They buy their furniture from wholesalers around the world including China, India, and various other locations, often commissioning these manufacturers to make “exclusive” designs specifically for the retailers. Ever wondered why the quality of one piece of furniture was so much better or worse than another at the same retail store? It’s probably because different manufacturers made them. Each manufacturer will have their own standards, own materials, own methods, etc. that will be different from the next. Some will be made with better materials, some not-so-much. Most retailers, while they might have “standards”, often times rarely enforce these standards at the manufacturing level, often producing less than high-quality furniture. There are a few exceptions to this like Ethan Allen, a manufacturer and retailer who owns and runs their own manufacturing plants around the world, allowing them to have quality control over every item they sell. Before you dismiss all retail furniture - consider your lifestyle. All levels of furniture have a place in life, whether you have growing kids, young pets, or perhaps you are renting and don’t own your home yet, a lower level furniture purchase can be a perfect fit for your lifestyle - they are durable enough to survive a few years, but after some time, they will begin to show their flaws and you will want to start looking for a replacement for these, which often times is a perfect moment in life to considering buying a high quality piece- once the kids are old enough to not be jumping on the furniture or spilling their drinks and food, or once your pet is old enough to not scratch or chew on your furniture, or once you have purchased a home and have “settled down”. Perhaps you are in a different phase of life completely, maybe you already own your home, and you are wanting quality pieces of furniture to last for many years to come. This is not the time to buy retail furniture! It might be tempting to, simply because retail furniture items are cheaper than custom or semi-custom pieces, but don’t be swayed- keep in mind you are purchasing furniture now that should last you the rest of your life- or longer. But, should you choose to ignore my advise, and want to purchase retail furniture, please be extremely careful- this could just be a waste of money, and in the end you could end up spending more than you would have if you just went with custom or semi-custom furniture from a quality manufacturer. A great way to determine if you are buying quality furniture is to understand how furniture is made. See my blog post [HERE] that will tell you everything to look for when purchasing furniture. Also, you could simply ask the sales person in any retail store how their furniture is made and what makes it different from any other manufacturer. If they can’t answer this question, or if their responses are vague, wrong, misleading, or they don’t know, I would suggest you ask a manager or for another associate for assistance. This is usually a sign that this is not a quality furniture store. Also, beware, some associates will lie directly to your face simply to get a sale, so be sure to do your own homework. Often times the furniture you are investing in will last longer than the home you purchase, or the car you drive, so you want to make sure it is a quality investment. Designers have access to quality wholesalers and manufacturers that the public does not. And a good designer will have done the research on each of these manufacturers to have a better understanding of the quality of furnishings they produce and should be able to share this information with you. 1. What will you need from me before getting started? 2. How do you charge, and when will I be billed? 3. Please explain to me how your design process flows, and at what points you will need me most? (You may end up having several more questions after this question based on your designers responses). 4. When will you purchase my furniture/art/accessories? 5. When will the furniture/art/accessories be delivered, and by whom? 5. Will you be attending the deliveries? This is often referred to as the installation date(s) by designers. 6. How will you follow up with me after the installation? 7. When will I know the design process is completed? Let’s not focus on what you “should” spend, but instead what you are comfortable with. I like to call it value engineering- we can mix higher end items with lower end items- it all depends on where you want to invest your money. For instance if you like to entertain people and often have movie nights, I would suggest putting more a focus on a comfortable sofa and seating arrangement and less on accessories or art- we can find some great options at a fraction of the cost. Or if you like to surround yourself with well curated accessories, we can put more focus on these items, and less on the furniture in the room. Now what would you feel comfortable investing into the purchase of your sofa? $10,000? $6,500? $3,000? Is my designer charging me too much? I get this question a lot. And the short answer is it depends. It depends on the scope of your project, the size of your house, the location, the market, if you want project management included in the designers fee, the contractors needed, etc. all of these factors will affect your designers fee. There’s no set standard fee for a designers services because there is no one project that is identical to another. That may not be the answer you are looking for, so to be a little more specific, consider that most designers charge anywhere from $75-$1500 an hour. That will depend on your location, the designers experience and the scope of their work. If you are working on a commercial project (restaurant, office, etc), often times designers will charge a flat rate that can vary from $3/sf-$20/sf. A healthy budget for product is usually around 10% of the cost of your home. For instance if you bought a $100,000 home, you should expect to pay $10,000 in home goods. So if your designer is budgeting for right around 10% of the market value of your home, they are probably right on target. This 10% budget is a good example for any middle class family who is looking for quality pieces mixed with affordable pieces. I would suggest not going any lower than this, or you will be replacing your furniture far too often since cheap furniture will break down at much faster rate than any quality piece. You could also increase this budget signifanctlly if you are looking to purchase only heirloom quality furniture and accessories. But 10% should give you a good starting point for product price ranges. Not to mention a designer also has to consider their profit margins. In order for a designer to stay in business, they must have a profit margin. Asking someone to adjust their profit margins for you and your project simply because you believe they should make less on your project than they would be is not only rude but could be considered insulting. Would you ask your doctor to lower their profit margins on the prescription drug they are going to give you simply because you have already paid a fee to see them? Most of us don’t even think twice about this, so why would a designer be willing to negotiate with you on this? 1. The designer. How many years experience do they have? What qualifications do they have? Do they have any designations (ASID, CID, etc)? How many clients have they had? Are the fees they are charging reflective of this information? 2. Your budget. How much are you willing to spend? I’ve given you an outline of what to expect on furnishings and the hourly rate you can expect from a designer listed above, so what are you ready to spend your budget on? I’ve had clients who are willing to pay for my services by the hour, but want to purchase the furniture at a later date due to budget constraints. Some designers can be flexible like this and work with your budget over a period of time. Another option is to ask your designer to only shop retail locations and you can purchase their furniture on your own. Keep in mind, with retail stores, their furnishings are fashionable, and can often be discontinued, so don’t wait too long to get that perfect sofa or table lamp, because it could be gone next week. I now only offer clients retail shopping lists through my online design service package, this way my clients can purchase at their leisure, whenever the budget allows. I feel that this takes a lot of the pressure off of the client-designer relationship and puts the client in charge of their finances, which most clients seem to enjoy. Every designer has their own way of running their business, and unless you ask for a breakdown of services versus product, you may think their overall fee is very high, but in actuality, when you break everything down, their services and product fees are probably pretty accurate- that is if you have a good designer who understands what they are doing. Even if I am not the designer for you, I want you to be armed with all the knowledge I can share with you, so you can make the best decision for you and your home. Get more for your vacation rental! If you have a vacation rental, or are considering renting your home out as a vacation rental, hiring a designer could help you get top dollar! A Designer will help layout your home so that it functions at its best and feels welcoming. Often times when we live in a space for a long period of time, we often overlook little details that a designer could point out that might make a guest feel unwelcome. For instance, family photos can add a touch of personality to a home, but it can also make a guest feel unwelcome- as if they are staying in a room that belongs to someone else. While this might literally be the case, you don't want a paying guest to feel as if they are staying in someone else's room. Designers are great at making a room feel pulled together, but also welcoming. Many designers offer design only services and paid-for advise (I do! ), in which they will share their professional opinion on your room, so you can get top dollar! The most common mistakes I see people make in their homes has to do with scale. I have seen countless clients downsizing and trying to bring their over-sized furniture with them, only to discover that none of it fits in their new home. When you downsize, you need to also downsize your furniture so that your space doesn't feel overwhelmed. If you are considering downsizing make sure to measure your furniture and measure your new home before you start to move. There's nothing worse than carting an 11 foot sofa to your new home to find out it won't fit and it will have to sit outside until you can figure out what to do with it. It might be worth the money to hire a designer to do this work for you as well. A designer should be able to measure your existing furniture and measure your new space and let you know what pieces you should take with you and what pieces you should sell or give away. Another rule of thumb is to only bring quality furniture with you. That table from IKEA should not come with you, there's no sense in keeping low quality furniture like this in your new home. When you downsize and move into a smaller home, the small details like the quality of furniture will become more apparent in your new home since there will be much more valuable real estate in a smaller floor-plan.